When pediatrician Dara McKinley is begged by her younger sister, Callie, to help her tend to war orphans in Kabul, Afghanistan, she can't refuse. But soon after she arrives, Dara finds that she and her sister are facing a daily threat from the Taliban. Then, Sgt. 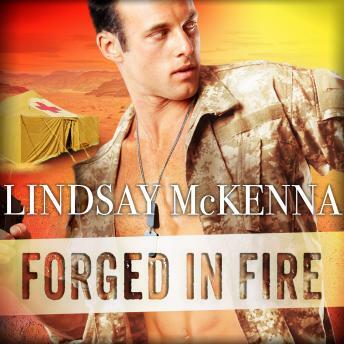 Matt Culver enters her life, and the usually wary Dara finds herself transfixed by the Delta Force warrior with exotic golden eyes. Matt knows that Dara needs his protection, and stays by her side when she places herself in danger. But when the Taliban strike, Matt and Dara are forced to run for their lives. Now, against overwhelming odds, they must share both terror and the awakenings of love in the mountains of Afghanistan.